Cut the avocados in half, remove the pit and scoop out, put the avocado into a bowl. Mash the avocado with a fork and add the lime juice, salt, tomato, onion, jalapeno and cilantro. Place all the ingredients into a bowl and toss to blend. To assemble the flatbreads, spread 2 tablespoons of cream cheese on each of the four flatbreads. 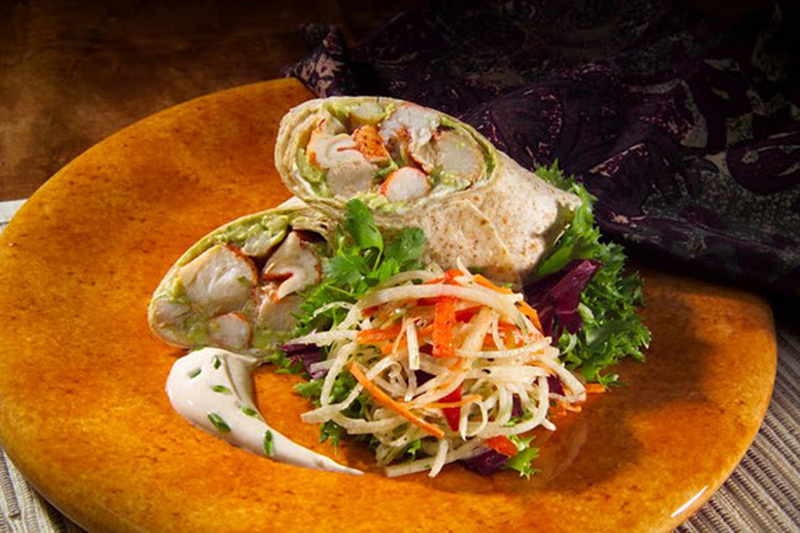 Divide the guacamole, lobster and crab meat evenly onto each of the flatbreads. Roll each flatbread folding in each end. To serve, cut each flatbread in half to present the filling; add the jicama slaw on the side.